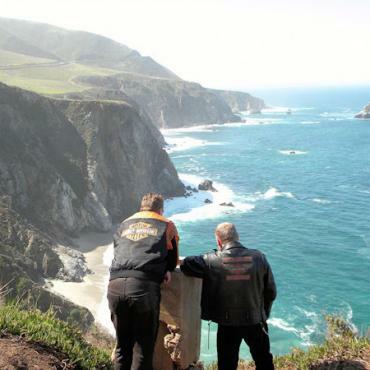 Discover the dramatic coastal scenery of California, Washington State and Oregon as you ride along the famed Pacific Coast Highway on this epic 15 day/1,400 mile adventure with a maximum of twelve riders. 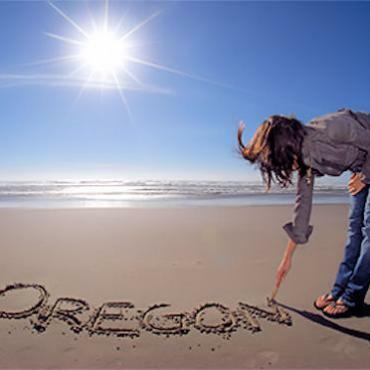 Along the way you'll experience everything from the rain forests of Washington State to the golden beaches of Southern California. 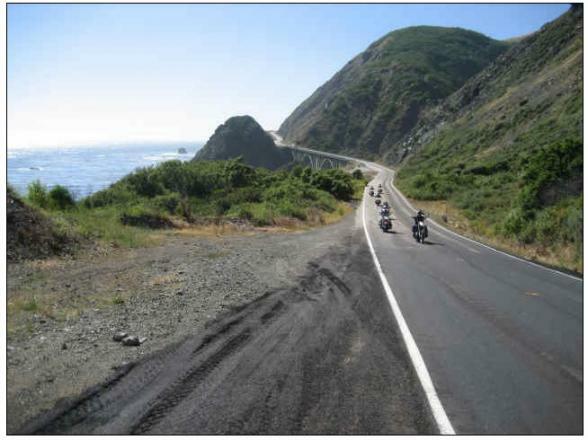 This astoundingly beautiful slice of the USA is pure wall-to-wall scenery each and every day for the ride of your life! Advance registrations are now being taken for 2020, please contact Bon Voyage for further details. 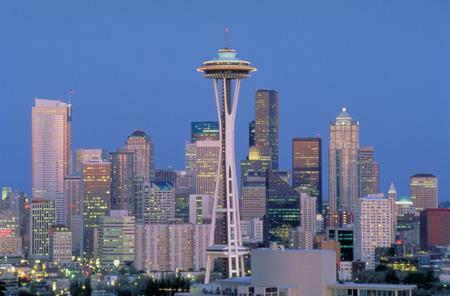 The cosmopolitan city of Seattle is the starting point for your Pacific Coast motorcycle adventure. 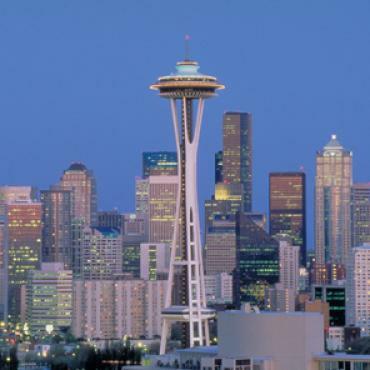 Be sure to check out the views of the city from the top of The Space Needle, or amble over to the historic Pike Pub & Brewery for a refreshing beer in cool surroundings. After the group have collected the motorbikes from the Seattle depot, it's a short and very scenic ferry ride across Puget Sound to the Olympic Peninsula. 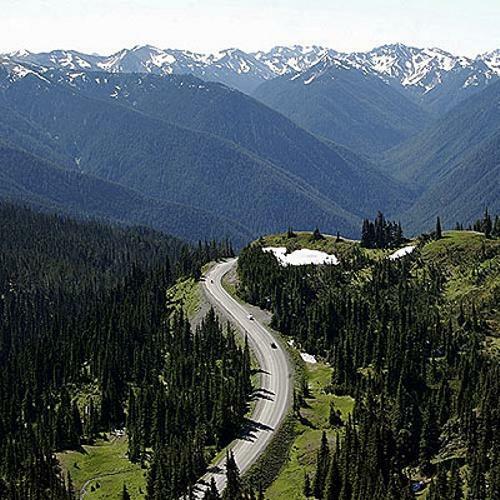 Centered around the Olympic Mountains and Olympic National Park and bordered on three sides by water, this area is known for its rugged wilderness, snowcapped peaks, pristine evergreen forests and driftwood-covered coastlines. Lake Quinault is surrounded by a temperate rain forest, cascading waterfalls and soaring trees. The perfect place to relax after a thrilling day on the bike. 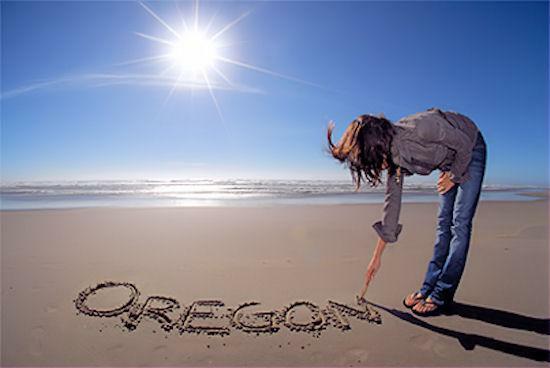 As you make your way toward the quaint seaside city of Ocean Shores, enjoy the warm breeze and the crashing waves of the Pacific. Circle North Bay as you head south to Seaside, Oregon. You'll spend most the day on the infamous Pacific Highway 101 connecting Washington with its neighboring state, Oregon. 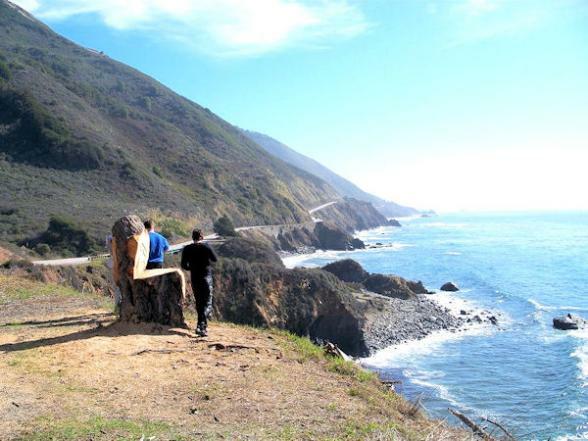 This ride is definitely for those with a spirit of adventure as you'll wind around the curvy inlets of this wild and rugged coast. 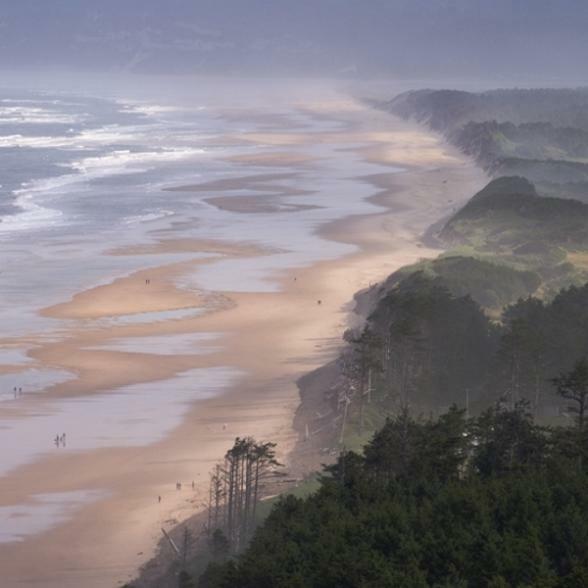 Awesome describes today's ride as you closely hug the Pacific Coast and ride through beach towns such as Cannon Beach, Lincoln City and Oceanside. On route be prepared to pull over to admire the stunning vistas. Spend your free day in Newport relaxing on the beach, strolling the historic bayfront or head to Yaquina Head Outstanding Natural Area for a spot of wildlife, and possibly, whale viewing. Alternatively, jump on the bike and head inland to the Cascade Mountain Range and miles and miles of open roads surrounded by pristine wilderness. 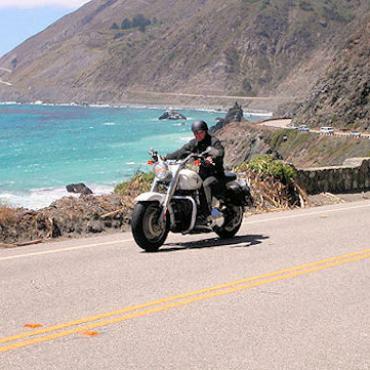 You’ll ride alongside the sparkling Pacific Ocean today as you continue south to the Golden State and the quaint beach town of Crescent City. 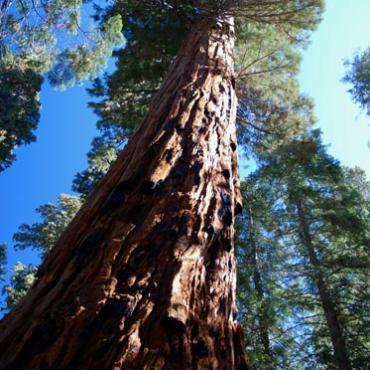 Journey through the Redwood National Park, home to the largest living organisms on Earth – The Redwood Trees. 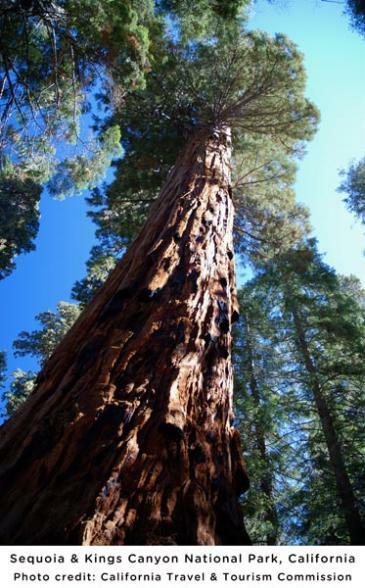 These trees are over 2,000 years old and one in particular, the oldest in the park, is taller than the Statue of Liberty. Be sure to wake early and stroll out to the rocky coastline where you may catch a glimpse of the whales native to this part of the Pacific. 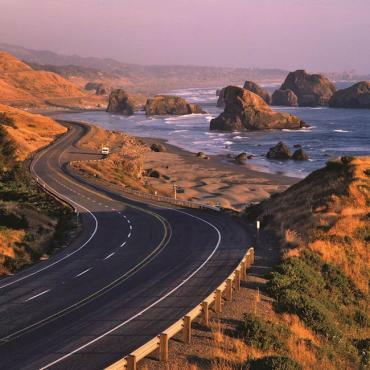 Late risers, not to worry, the day's ride will be just as exciting as you make your way towards the artist colony town of charming Mendocino. 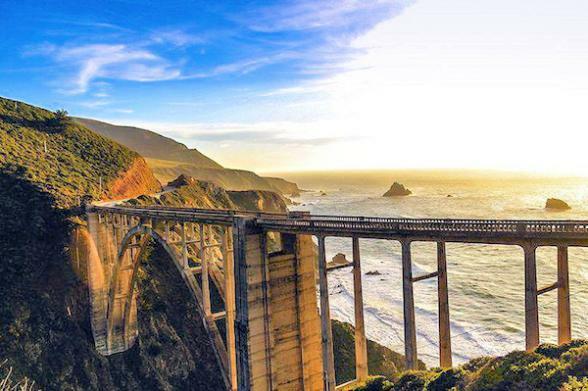 You'll pass by Fort Bragg's picturesque coastline and rugged terrain before ending the day in this historic part of California. 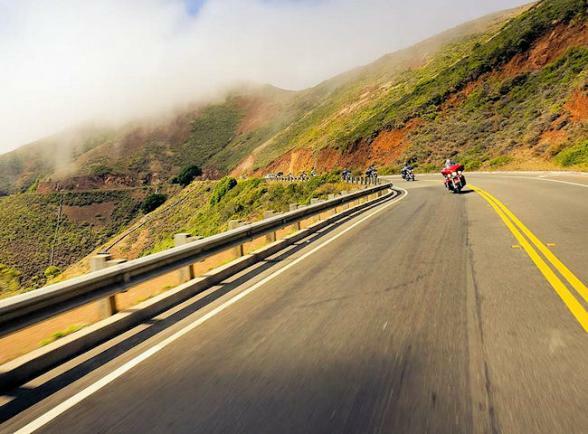 The scenery will change today as you swap the smell of the ocean for whiffs of wine as you ride into the verdant hills of California Wine Country. 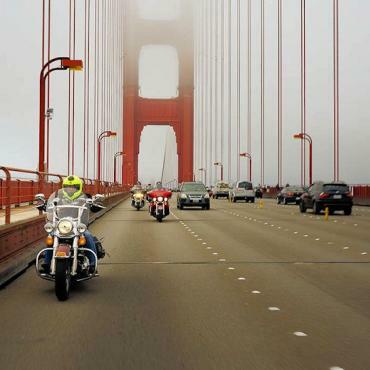 Time permitting, you’ll get a chance to tour a winery or stop for a tasting before rolling into the bustling metropolis of San Francisco. 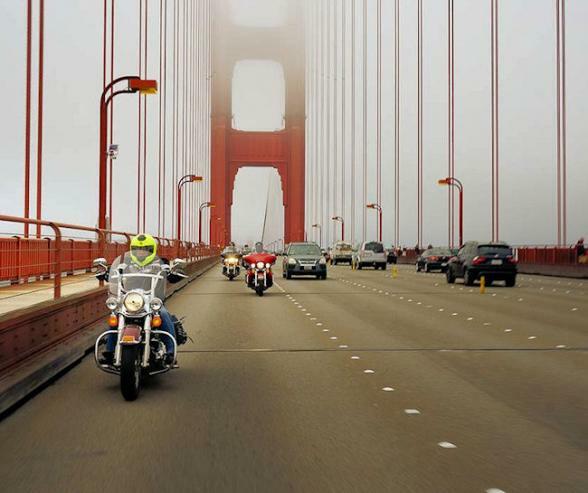 What to do on your free day in ‘Frisco? Hop on the historic Cable Cars, stroll through Chinatown or sit and watch the world go by on lively Fisherman’s Wharf. We’ve included an attraction you definitely wouldn’t want to miss; Alcatraz. 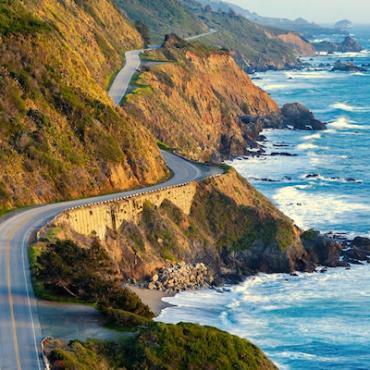 No journey along the stunning Pacific Coast of America is complete without a ride through the famous 17 Mile Drive. 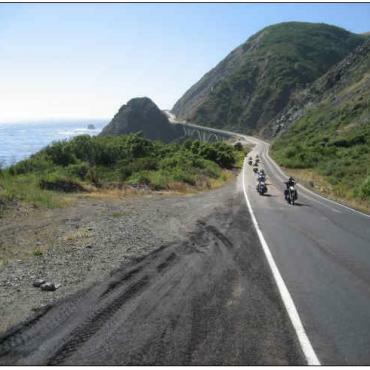 Spanning the coast between Pacific Grove and Carmel, this route opened in the 1880s. Initially, guests of Monterey’s Hotel Del Monte enjoyed a scenic carriage ride along the coast through the newly planted Del Monte Forest. 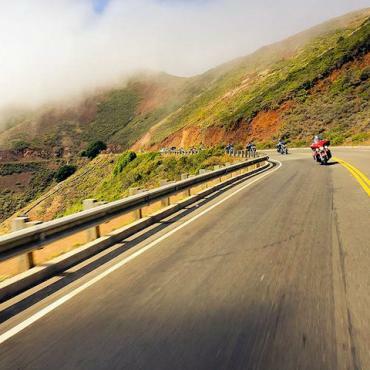 Today, it's one of the most famous roads in the nation and is crammed with scenic vistas. One of the most photographed places on the coast is located within the 17 Mile Drive at the Lone Cypress lookout point where you'll stop for a group photo. 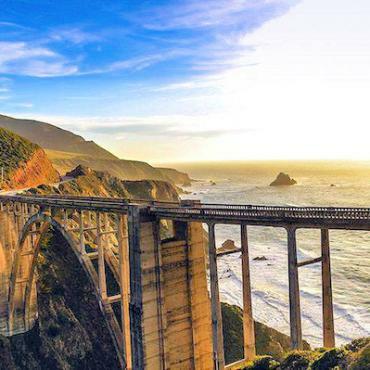 Enjoy the evening in Monterey at one of the many restaurants or lively bars along historic Cannery Row. 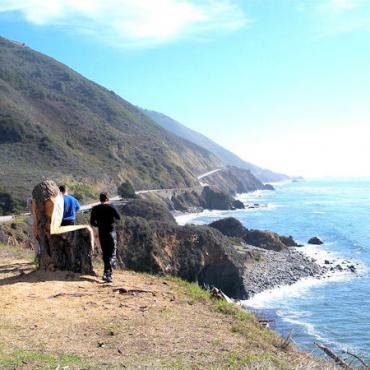 The stretch of highway that starts below San Francisco and finishes just shy of Los Angeles - Highway 1,is considered THE most scenic drive in North America and you'll be riding along the most dramatic part. Just when you think the scenery can't get any better, it does. With majestic mountains to your left and dramatic cliffs plunging into the ocean on your right, take it slowly and savour every minute. 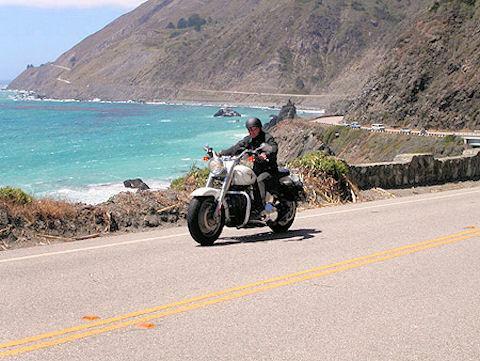 Overnight enjoy the laid back, seaside town of Pismo Beach. 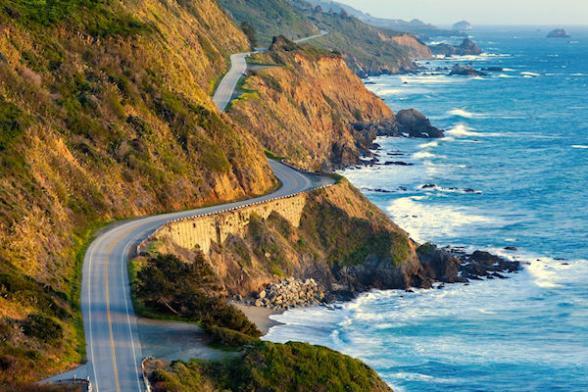 You're off to Santa Barbara located in an area of southern California referred to as the American Riviera. Enjoy lunch in one of the local eateries and soak up the atmosphere. 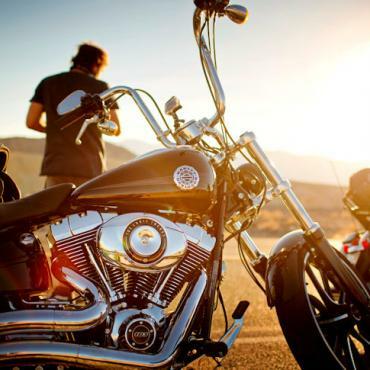 It’s now the final leg of your motorcycle adventure as you cruise along the Pacific Coast Highway through Malibu and Santa Monica to your stop in Redondo Beach. 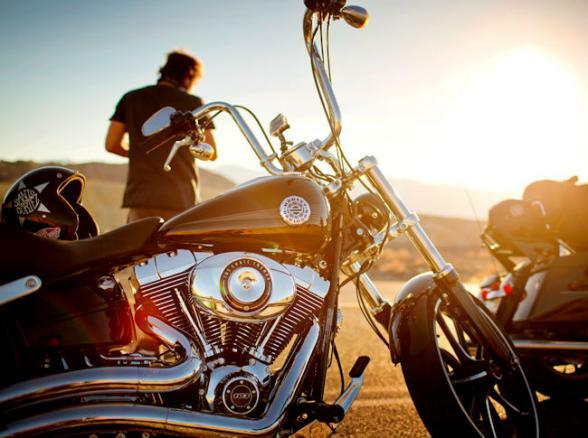 There's a fun night in store for you this evening as you gather together and swap riding gear for bathing suits and celebrate the end of your adventure Californian style. Gather for a final breakfast before you board your flight back to the UK. However, you may decide to include a stopover in Chicago or maybe spend a few days in New York city before heading back home. 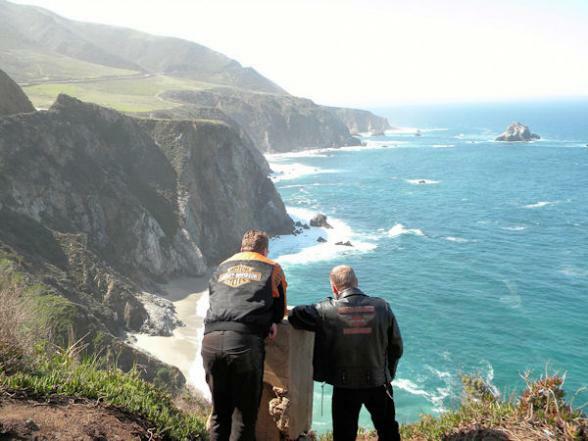 Call the travel specialists at Bon Voyage to discuss your perfect Pacific Coast Highway Seattle to Los Angeles - 15 Day Guided Motorcycle Tour.